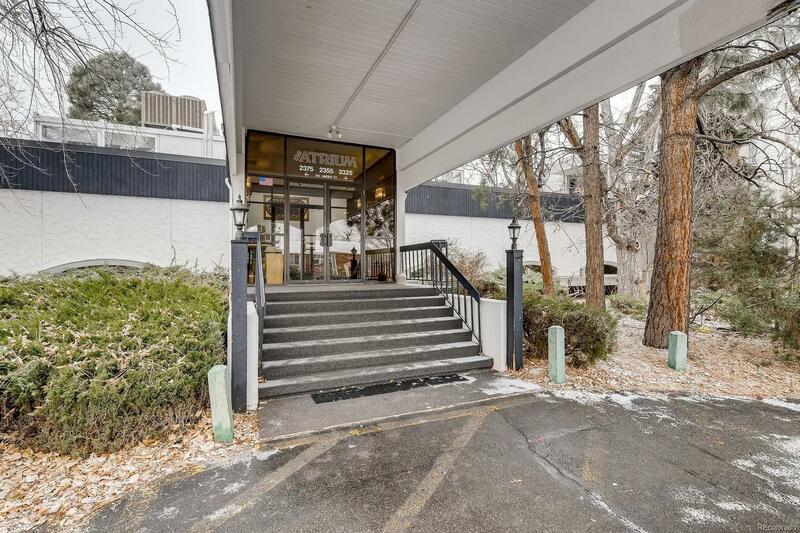 RARE SOUTH FACING PENTHOUSE END UNIT ...BY FAR THE BEST DEAL IN ALL OF DENVER! 2 bed, 2 bath with updated baths, kitchen and new TOP RATED Anderson windows and slider. Newer Stainless Appliances including Dishwasher, Microwave, Stove and Refrigerator. INCLUDED! RESERVED CARPORT SPOT IS THE CLOSET PARKING TO THE BUILDING! HOA includes: Heat, Clubhouse, Sauna, Indoor Pool,Fitness Center, Water, Sewer, Exterior Maintenance w Roof,Storage, Covered and Reserved Parking, Trash and Snow Removal. Incredible location, close to everything, Shopping, Light Rail, Public Transportation, Restaurants, Entertainment, etc.End unit with large private Patio. Lots of off street parking for guests. STORAGE UNIT #88 RIGHT OUTSIDE UNIT'S FRONT DOOR,EASY CONVENIENCE.